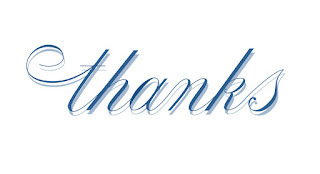 I just want to say thank you to everyone who has followed me on this blog and taken the time to comment on all my trials and tribulations these past few months. It has been hard to focus on the blog but now that all the legal matters are behind me (YAY) I hope to be getting back to a more regular and art related blog as was the original intent of it in the first place! And now for some more about the pen tool. Guess what I discovered about the pen tool? It isn't rocket science! 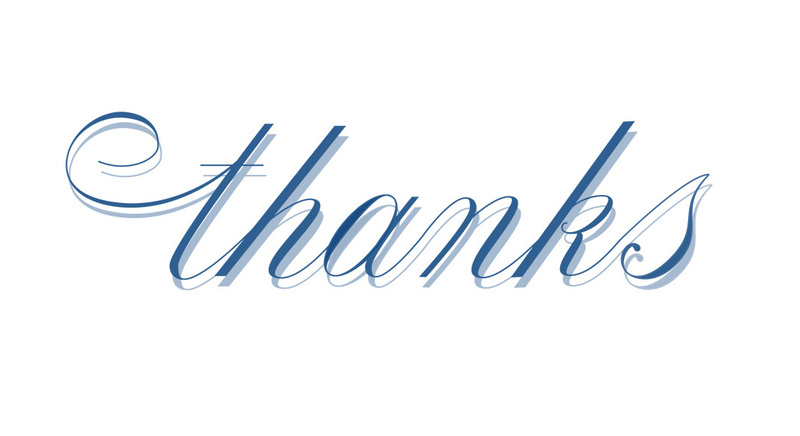 I hand wrote the entire word "thanks" in Adobe Illustrator using the pen tool. I am truly amazed. I never thought I could get a grip on that tool but there you have it. I still have a few things that are not so clear to me relating to when to aim the handles straight up, north/south or sideways, east/west. It can be a little confusing. When I was a graphic designer I loved using type and recreating typefaces for my own personal use but with the pen tool I get to start from scratch. First sketching in pencil, then scanning it in and tracing with the pen tool. I am going to also try and go over some of my pattern motifs with it. For those I used the live trace option and the number of points in each sketch is way too much. There are many designers out there who hate the live trace option for that reason. I took a class on Skillshare with Spencer Charles and it really opened my eyes to what I could accomplish with the pen tool. I think I have said this before but I really like Skillshare for the variety of classes they offer. The only thing about Spencer's class that I would have liked better would be if it went a little slower. I had to keep replaying the video over and over to see exactly where he was placing his points. I absolutely hate it when people speed up the creation of their artwork on videos. If you are going to show us how to do something then show it in a way we can follow along! nice blog site ... 1st time here ... ditto re : happy the legalities are behind you ! Good to hear things have cleared for you. And would you PLEASE STOP finding such interesting things for me to learn? There simply are not enough hours in the day so I shall look forward to seeing what you come up with. Sounds as if 'all is well' or at least getting there! Good for you!!!! Fill us up with more of your art work!! !